We are target oriented organization engaged in offering a wide array of SS & CI Gear Pump Series. Suitable for the fastest, easiest and most economic installations, our given range of gear pump is provided in various specifications as per the needs of customers. 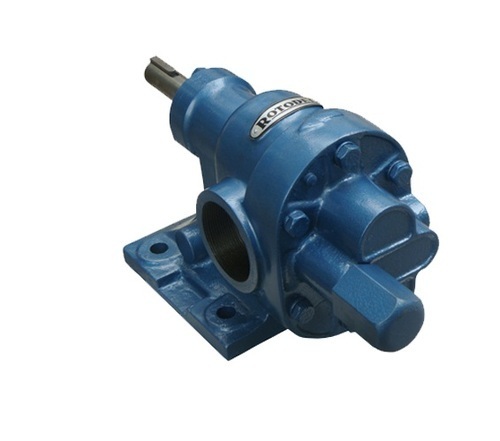 Our gear pump is manufactured with optimum grade material and advance technologies. Our quality controllers examine this gear pump against various parameters. We Union Pump Company, incepted in the year 1996, are known to be one of the leading manufacturers distributors and trader of this impeccable range of Chemical Pumps & Vacuum Cleaners. The offered range is made up of the finest and the most acclaimed and asked for products like Chemical Process Pump, Air Operated Double Diaphragm Pump and Gear Pump. Making of this range is done in strict compliance with the set industry norms and guidelines, utilizing the finest raw materials and advanced technology. This ensures the product’s performance, service life, strength, capacity and precision. In addition, the range is marked at the most reasonable rate possible. Our highly modernistic infrastructure has been equipped with sophisticated machinery and equipment needed for the attainment of our predefined goals and targets. To maximize our reach in the market, the facility undergoes regular up-gradation. To manage the firm’s operations in the most efficient and effective manner, the facility has been parted into several highly operational units. These units, under the guidance of skilled and experienced professionals, in the most united manner, help the firm boost its production capacity. In addition, we work in the most ethical manner, to generate a huge client base comprising Jsw Steel,Nitco Tiles, Hindustan Uniliver , ,Aguapuro Equipments Private Limited, TSA Process Equipments Limited and Membrane System (I) Private Limited.